Getting a mortgage has a self-employed borrower can be exceptionally difficult. With the regulatory overhaul that started in 2012, the documents required along with lending rules themselves have grown drastically more challenging. As a self employed borrower, you have to know your options but also know a trusted mortgage loan advisor to help properly guide you. 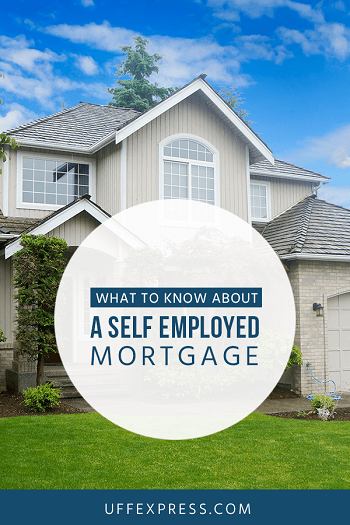 Most mortgage programs require a 2-year history of being self employed in order to be eligible, however, if you’ve been self employed for 12-24 months you may still have options. Each mortgage program has different guidelines if you’ve been self employed for under 2 years, but a lender may be able to use your current income if you were previously employed in the same line of work for at least two years prior to starting the business. You do however have at least one year of tax returns filed for the new company in order to calculate and estimate your qualifying income. If you claim your self employed income on a Schedule C of your personal tax returns, the lender must pay close attention to your NET income (line 31). Lenders can add back in certain write-offs such as depreciation, depletion and business use of your home. Itemized write-offs such as casualty loss or amortization can also be added back. However, ALL other write-offs cannot. So essentially the calculation is Line 31 (of your schedule C) + Line 30 + Line 12 + Line 13 - Line 24b (this add back any amortization or casualty loss you wrote off on page 2 of the Schedule C). If you file separate business returns, you likely file a Partnership (1065 form) or S-Corp (1120S form) return. The net profit or disbursements you pay yourself will often then be reported on a K-1 which then gets reported on the Schedule E of your personal returns. If you own more than 25% of the business (percentage of ownership will typically be listed on the K-1), the lender is going to need not only your personal returns for the last two years, but also the last two years’ worth of K-1’s and business returns. All pages of returns are always needed, so be prepared to have the scanner ready or the returns already in PDF format to send to your lender. The calculation between the Partnership and S-Corp varies, but generally the lender has to look at the net profit and can add back things such as depreciation (page 1), depletion (page 1), and any amortization or casualty loss which is normally broken out under ‘other expenses’. However, items such as meals and entertainment write offs (normally found on Schedule M-1) AND any notes payable in the next 12 months (Schedule L) must be counted against the effective income a lender can use. If you do not own 100% of the business, only your percentage of the income will be able to be counted for the mortgage qualification. Additionally, if you pay yourself a W2 wage, any W2 wages can be added to the effective income calculation for that year. Mortgage programs require lenders to either (1) take a 2-year average of the income calculation or (2) use the most recent year’s income if it was declining. In some instances, Conventional Loans will allow a lender to use the most recent years tax returns without having to use a 2-year average, but that is a case by case scenario. Where things can get complicated though is if your business has had a sharp decline in either gross revenue or net income. Mortgage guidelines require lenders to look at the year-over-year revenue and income trends, and if either decline by more than 10 or 20%, there are various rules as to what is allowable under those circumstances. A decline of 20%+ may mean that a lender cannot use your self employed income at all due, but always seek a mortgage professional to help with your particular scenario. Mortgage loan programs require all borrowers provide 1-2 months worth of bank statements when verifying funds to close for down payment and closing costs. If there are any large deposits coming from your business, the lender may also need to source those deposits which means business bank statements may be required. If business funds are being used to assist with your down payment and/or closing costs, the underwriter is required to do a cash flow analysis and determine whether the use of those business assets will affect the day-to-day operation of the business. Typically, a letter from your CPA may also be required to testify that the liquidation of funds isn’t going to affect the business’ operations. Self employed borrowers have the same mortgage options that most all other borrowers have access to. There are a myriad of lenders nowadays trying to promote no tax return and asset/deposit-based loan programs, but you will always pay a significant premium for those. Our company does have some options for programs like that, but if you can qualify for a traditional program you will likely get lower fees and a much lower interest rate. To learn more about various loan programs, visit our overview of Home Loans and your options. Self employed borrowers qualify for the traditional Fannie/Freddie Conventional mortgage. The program requires anywhere from a 3-5% down payment and is one of the most common mortgage options in the nation. For qualifying borrowers, you do have the option to avoid mortgage insurance if you put 20% down and the rates are highly competitive for borrowers with above average credit. The benefit to conventional loans is not only that you may be able to avoid mortgage insurance altogether, but you can buy 2nd homes, Investment Properties, and higher-priced homes with this option. The FHA loan program is also available to self employed borrowers. It is less credit sensitive, meaning that borrowers with fair to good credit can also get highly competitive rates. The FHA mortgage requires a minimum down of 3.5% but can only be used for primary residences. It also has lower loan limits than Conventional mortgages, so depending on how much you’re looking to borrow will determine which options best suites your needs. Conventional loan limits are capped at $484,350 in most counties in the nation while FHA is capped at $314,000. If you're looking to borrow more than that, then you must look to a non-conforming jumbo loan. Generally you need 15% or more down and need to have 700+ credit. Given the high loan amounts, it's one of the riskiest loans for lenders and therefore is the hardest program in the country to qualify for. Not only do you need a hefty down payment, but you'll likely need proof of 6-18 months of mortgage payments held in reserves (checking, savings or retirement savings) in addition to having enough to cover the down payment and closing costs. Jumbo loan amounts typically range from $485,000-$3M. Being a self employed borrower does present it’s challenges when qualifying for a mortgage simply from the documentation required and the income calculation rules, but with the help of a licensed and experience loan officer, you’ll be in good hands. If you’ve filed at least 1 year of business returns and want a lender to help determine what you qualify for and which mortgage will best meet your goals get started today by calling us directly or filling out our short form online. About United Fidelity Funding Mortgage: United Fidelity Funding is a multi-state, direct mortgage lender that offers low mortgage rates and fees. With no regional or national marketing budgets, United Fidelity Funding Mortgage keeps costs low and passes the savings on to our customers. Our team of highly-experienced loan officers average 7 years in the business, making us some of the most trusted experts and knowledgeable experts you’ll find.